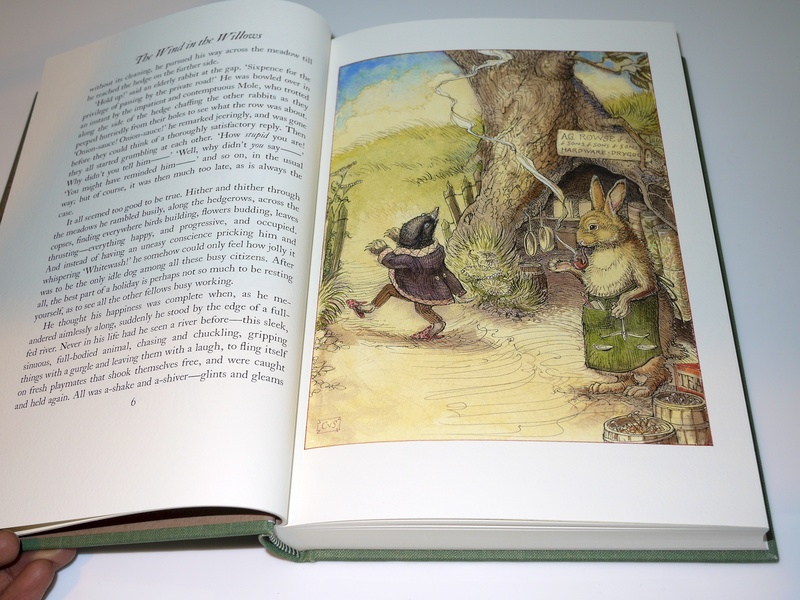 The Wind in the Willows was part of the introductory set of books being offered by The Folio Society to Rest of the World customers last year when I decided to join. I’d actually never heard of it before, though I later learned that it’s been hugely popular with both adults and children the world over ever since it was first published in 1908. I suppose with its anthropomorphized animal characters it is somewhat similar to the Br’er Anansi, Br’er Rabbit and Br’er Tiger stories we West Indians have grown up reading. It has quickly become one of my favourite books, and the fact that this edition is in it’s seventh printing means that I’m not alone in admiring how well put-together it is, The Folio Society has really done a great job with this classic. I also need to give special mention to the Modigliani paper, named after the famous Italian artist Amedeo Modigliani, that’s been used for this printing. It has a slightly rough texture that really allows the illustrations to come to life, in addition to being a pleasure to thumb through. It’s also pretty thick so you don’t have to worry about easily creasing the pages when you’re reading, and it smells great too. I haven’t had a chance to read it as yet, as I have a number of other books in my to-read list on GoodReads before I can get around to this, but I’m eagerly looking forward to it. Kenneth Grahame (1859—1932) was a Scottish writer who wrote a number of short stories before completing The Wind in the Willows, which would turn out to be his most popular work. He had a successful career as a banker before retiring and returning to the countryside where he grew up. The Wind in the Willows had its genesis in the bedtime stories he told his young son, which are thought to have been inspired by his own childhood growing up in the English countryside and alongside the River Thames with his grandmother and uncle. Although hugely successful, Kennetch Grahame never wrote any sequels himself, though four were written by William Horwood in the 1990s. The book is lavishly illustrated by the wonderfully gifted Charles van Sandwyk, a South–African born, Canadian–educated resident of the Fiji islands. His illustrations remind me of very old fairy tales that I read when I was a child, of authors and illustrators that I can’t remember anymore. It’s a bit like that moment in Ratatouille when Anton tastes the ratatouille and is reminded of his mother’s cooking. It was apparently CVS’s life-long dream to illustrate The Wind in the Willows after it was first read to him by his father when he was only 8 years old. His dream came through in 2005, and his work was so well-received that the Folio Society invited him to return again in 2008 when they published the Centenary Edition, which received 40 new pen and ink drawings and 16 colour plates. Update: Here’s a long, interesting review with CVS where he goes into great detail about working with The Folio Society and his process when illustrating. 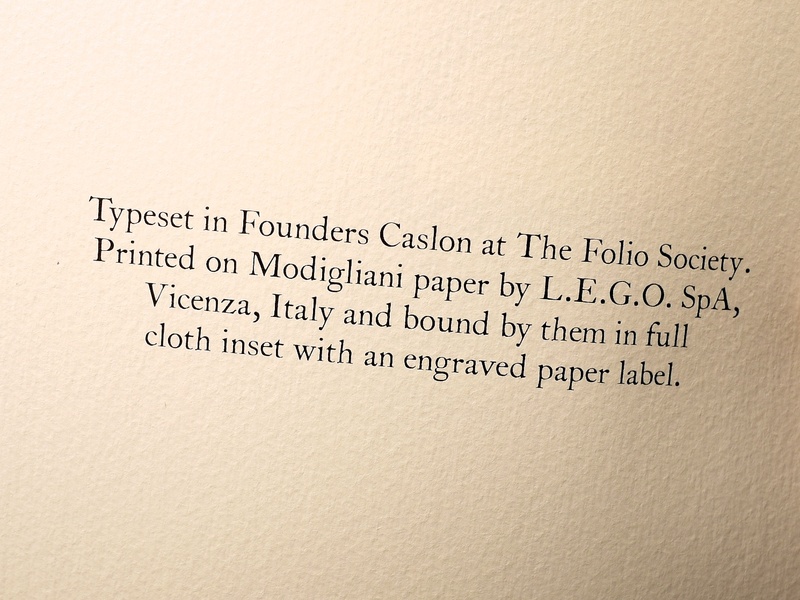 Colophon notes: Typeset in Founder’s Caslon at The Folio Society. Printed on Modigliani paper by L.E.G.O. SpA, Vicenza, Italy and bound by them in full cloth inset with an engraved paper label. The pictures that follow are of the seventh printing of the 2005 edition, published in 2010. 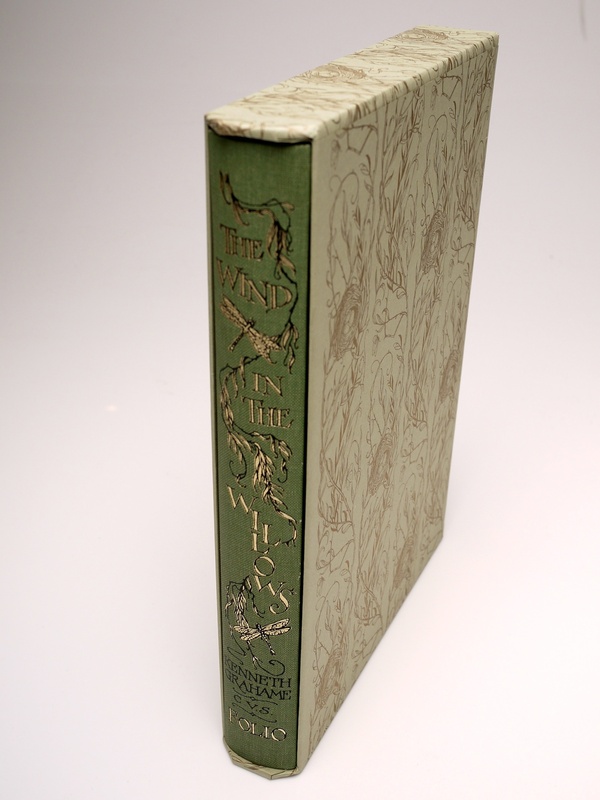 The Wind in the Willows by Kenneth Grahame (2005) (The Folio Society): book in slipcase. 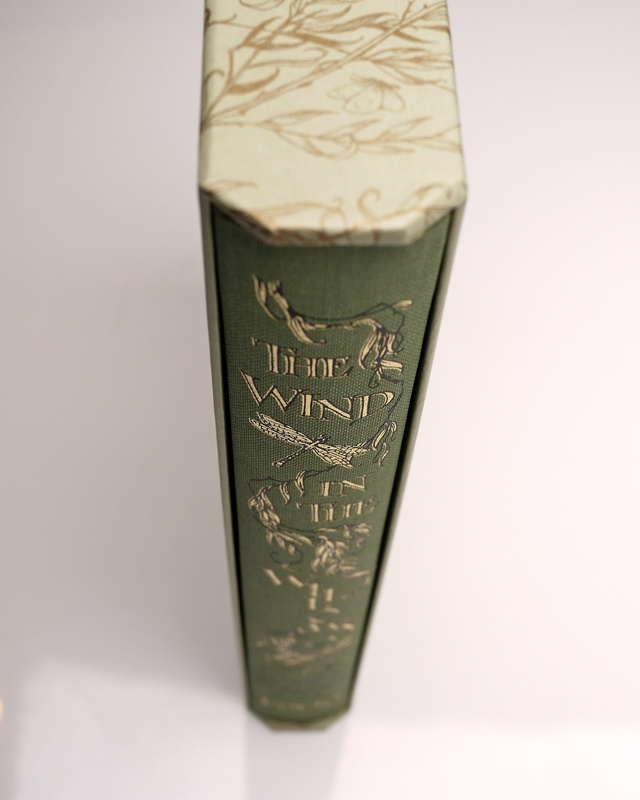 The Wind in the Willows by Kenneth Grahame (2005) (The Folio Society): close up of book in slipcase. 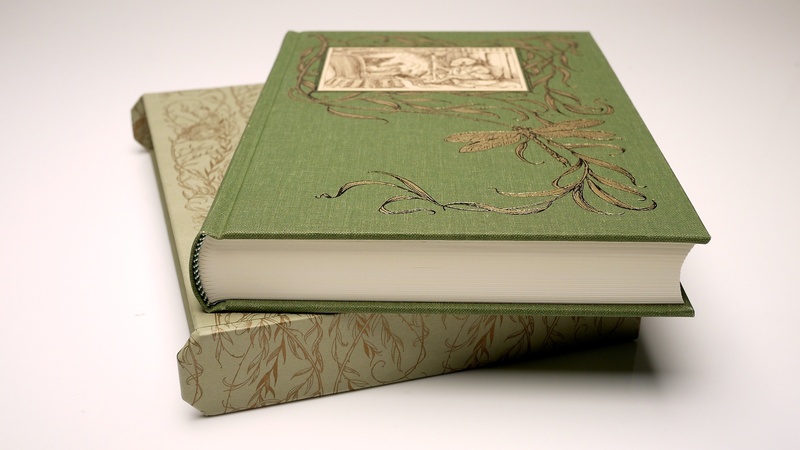 The Wind in the Willows by Kenneth Grahame (2005) (The Folio Society): book in slipcase detail. 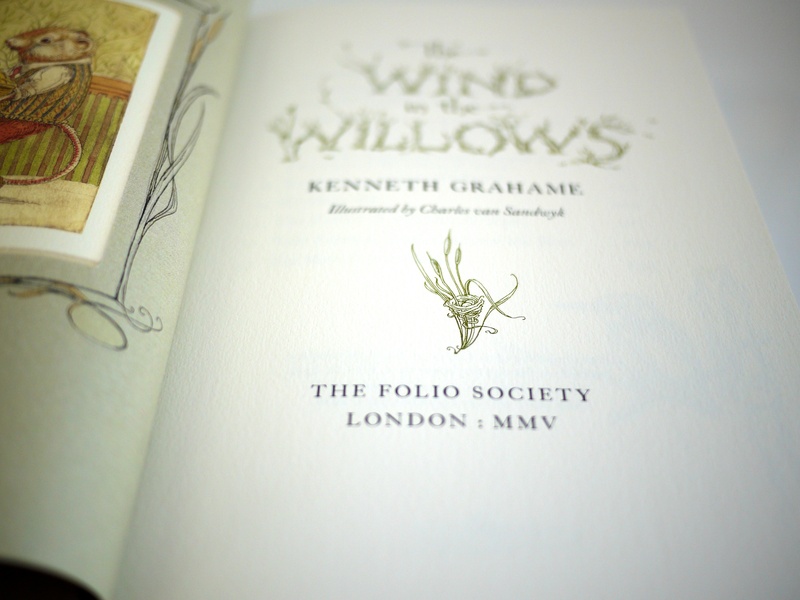 The Wind in the Willows by Kenneth Grahame (2005) (The Folio Society): book on slipcase #1. 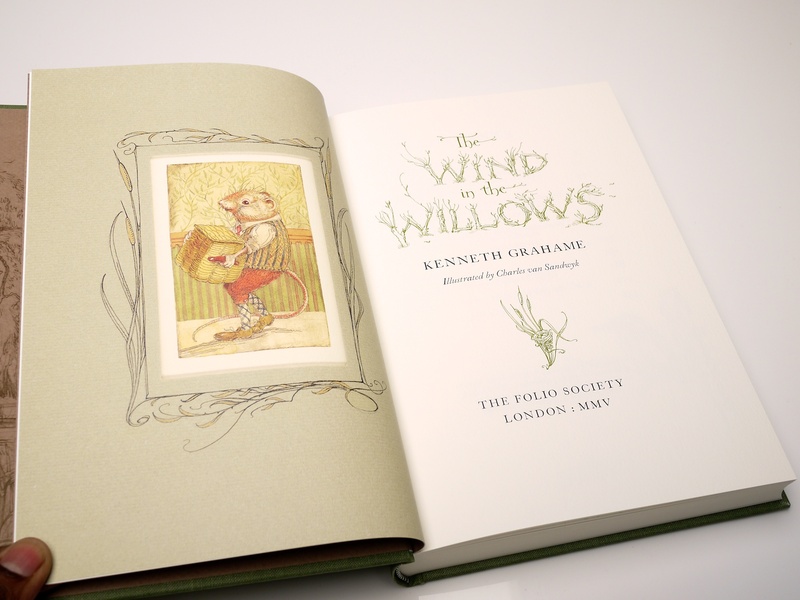 The Wind in the Willows by Kenneth Grahame (2005) (The Folio Society): book on slipcase #2. 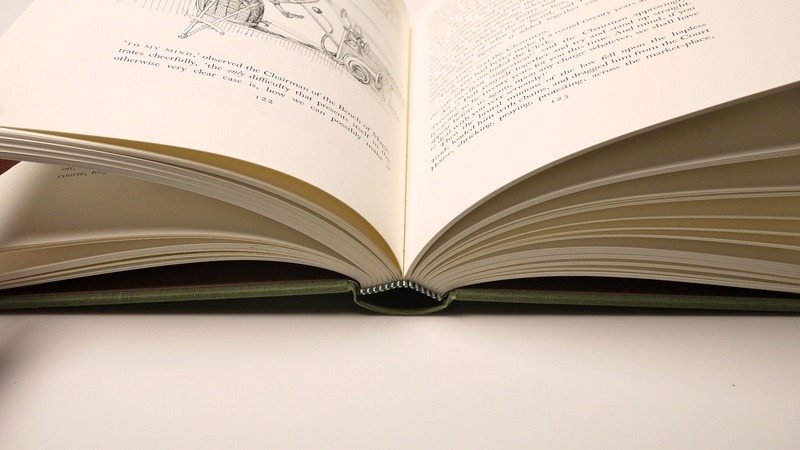 The Wind in the Willows by Kenneth Grahame (2005) (The Folio Society): book on slipcase detail. 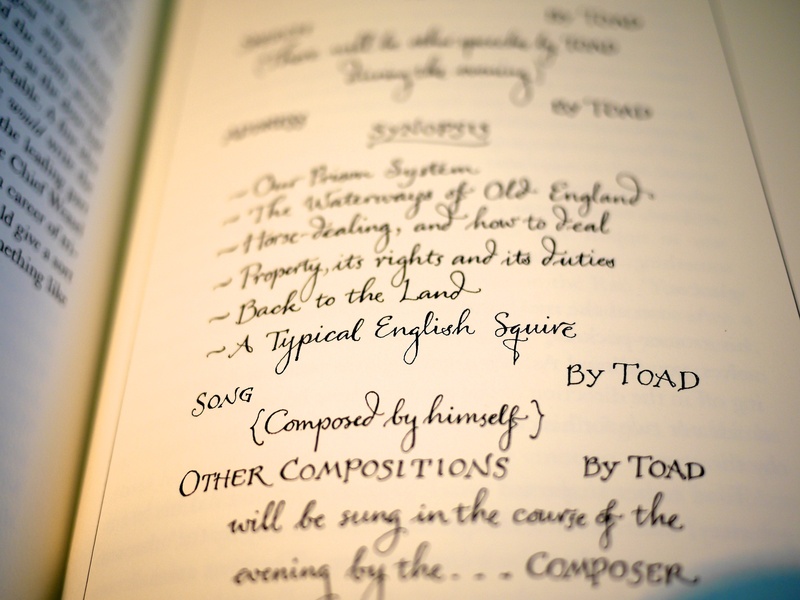 The Wind in the Willows by Kenneth Grahame (2005) (The Folio Society): illustrated endpapers. 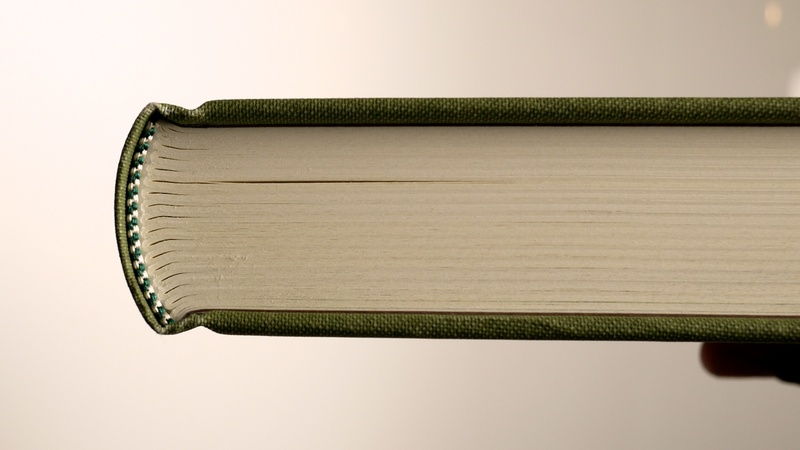 The Wind in the Willows by Kenneth Grahame (2005) (The Folio Society): spine with pages spread. 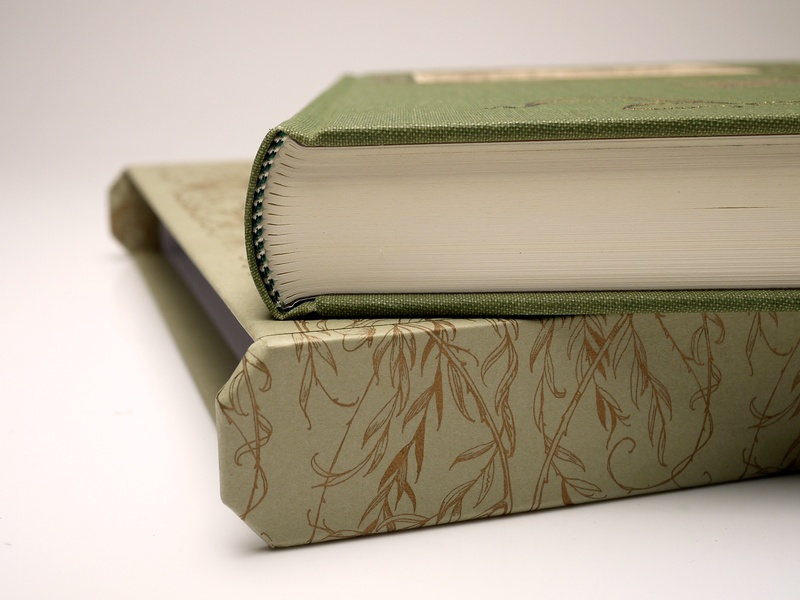 The Wind in the Willows by Kenneth Grahame (2005) (The Folio Society): binding detail. 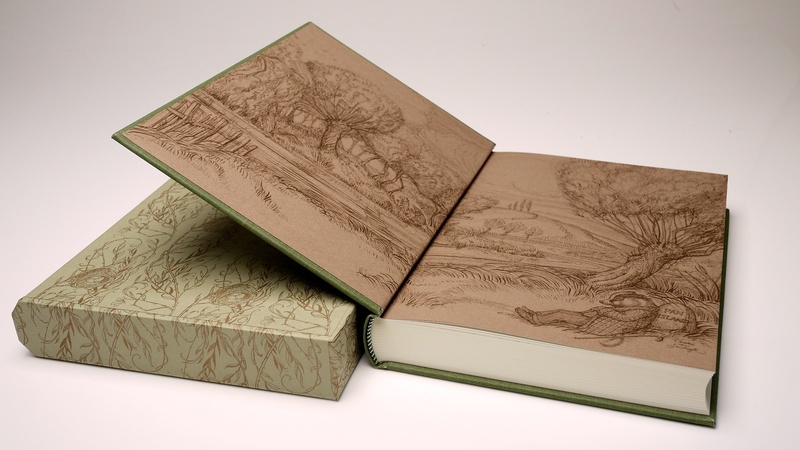 The Wind in the Willows by Kenneth Grahame (2005) (The Folio Society): illustration inset on to the cover. The Wind in the Willows by Kenneth Grahame (2005) (The Folio Society): title page. 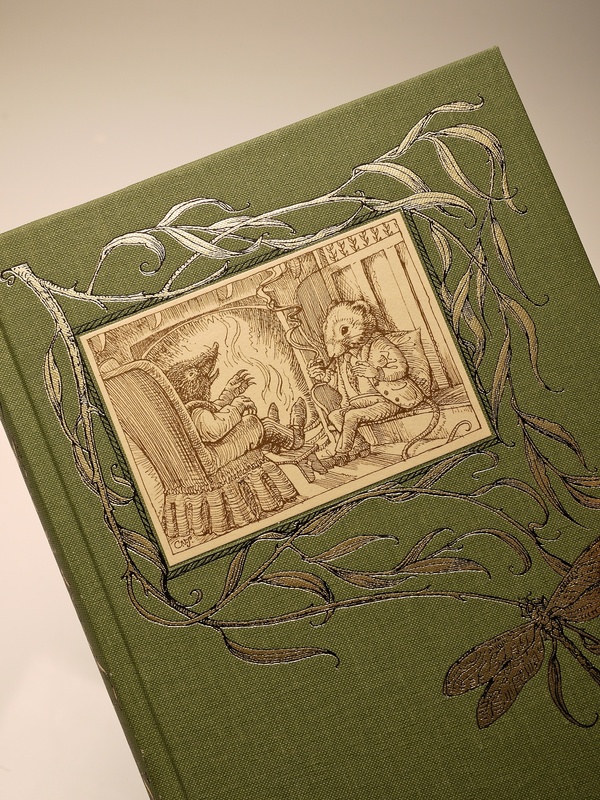 The Wind in the Willows by Kenneth Grahame (2005) (The Folio Society): title page closeup. 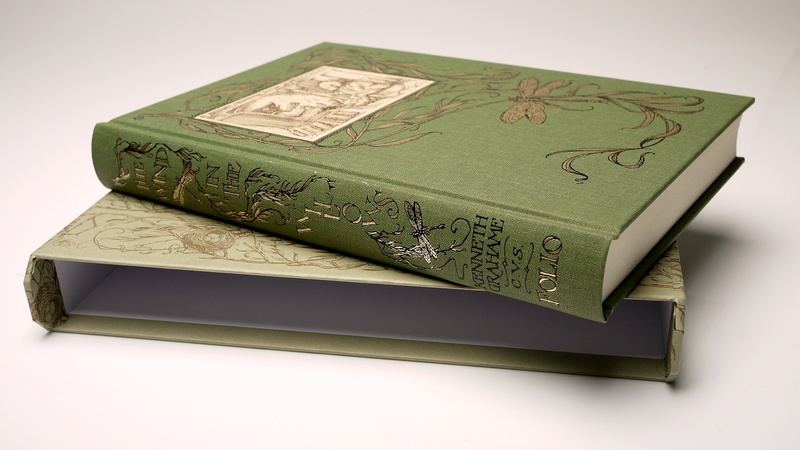 The Wind in the Willows by Kenneth Grahame (2005) (The Folio Society): colophon. Note the texture of the Modigliani paper. 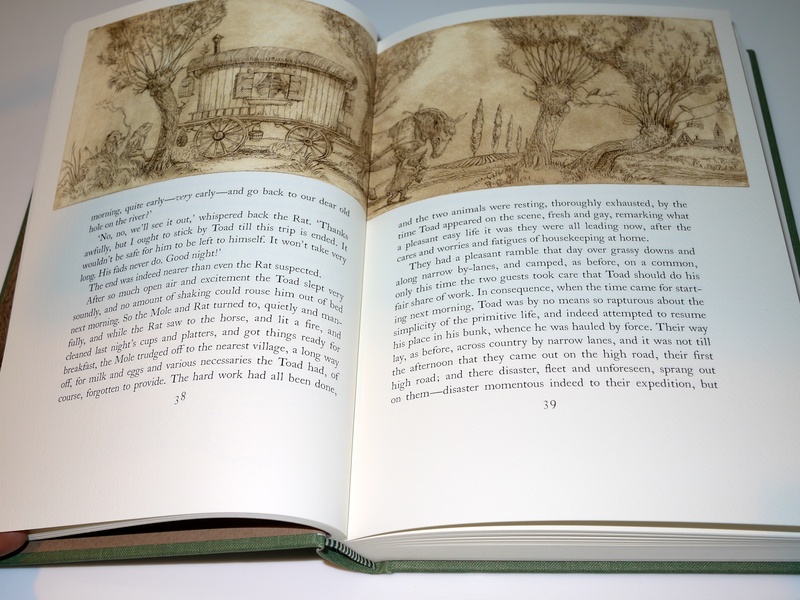 The Wind in the Willows by Kenneth Grahame (2005) (The Folio Society): pages spread. Note the thickness of the paper, wonderful to touch. Smell great too! 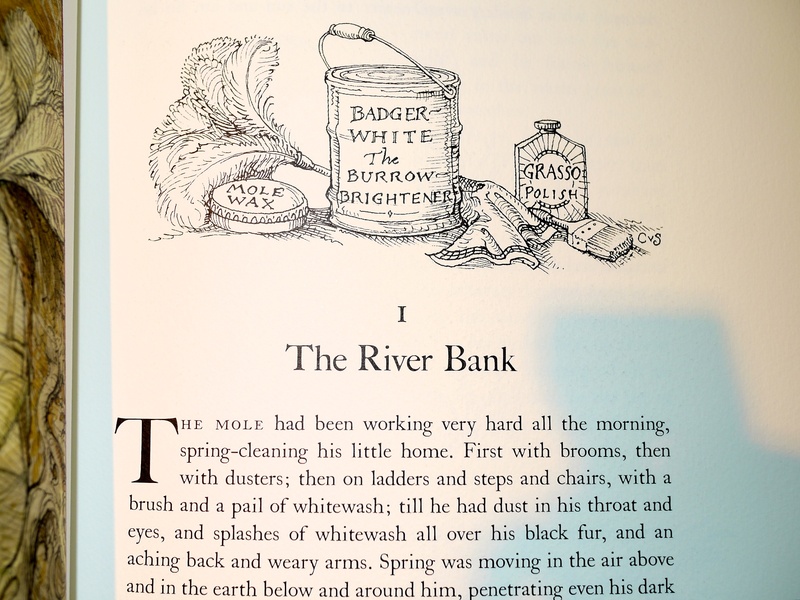 The Wind in the Willows by Kenneth Grahame (2005) (The Folio Society): sample illustration #1. 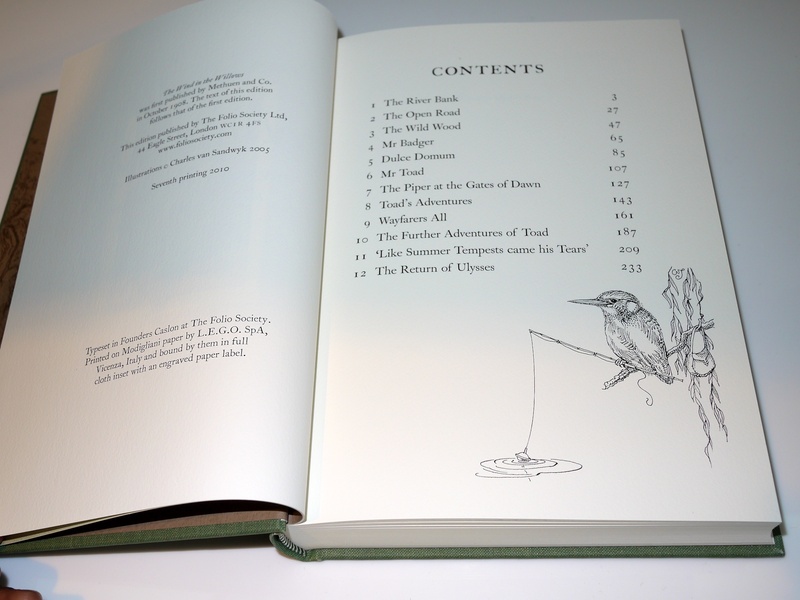 The Wind in the Willows by Kenneth Grahame (2005) (The Folio Society): contents page. 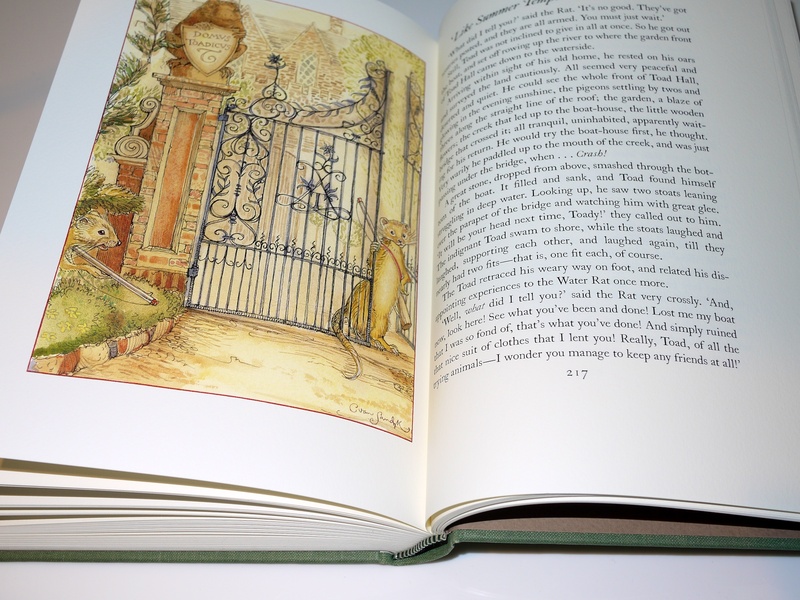 The Wind in the Willows by Kenneth Grahame (2005) (The Folio Society): sample illustration and illustrated chapter head. The Wind in the Willows by Kenneth Grahame (2005) (The Folio Society): closeup of illustrated chapter head from Chapter 1. 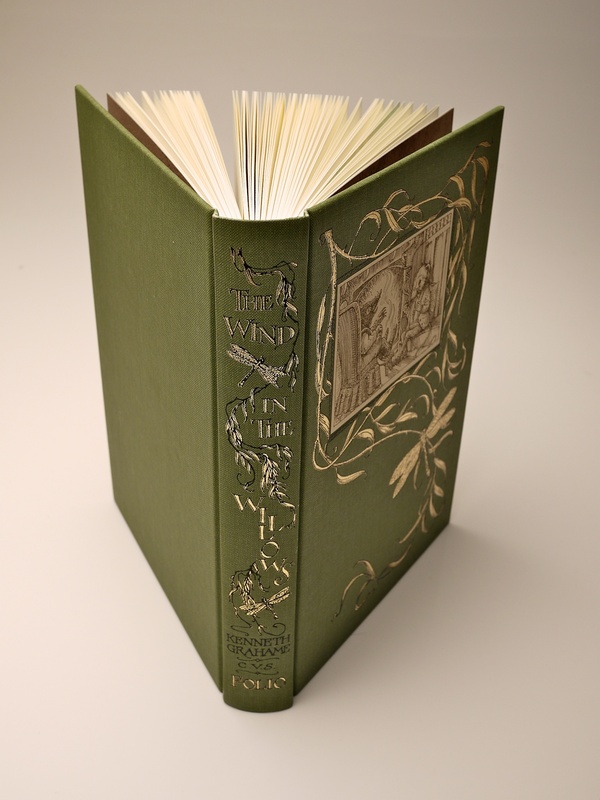 The Wind in the Willows by Kenneth Grahame (2005) (The Folio Society): illustrated chapter head from Chapter 2. 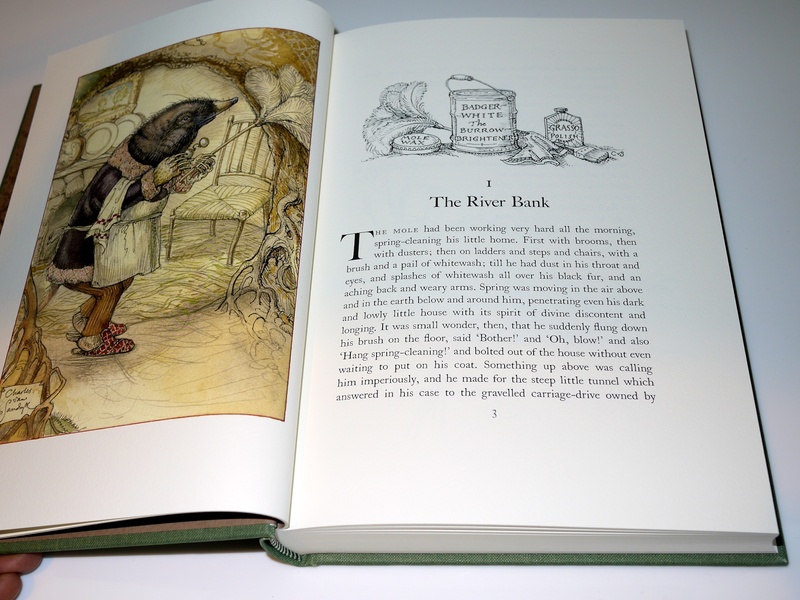 The Wind in the Willows by Kenneth Grahame (2005) (The Folio Society): sample illustration #2. 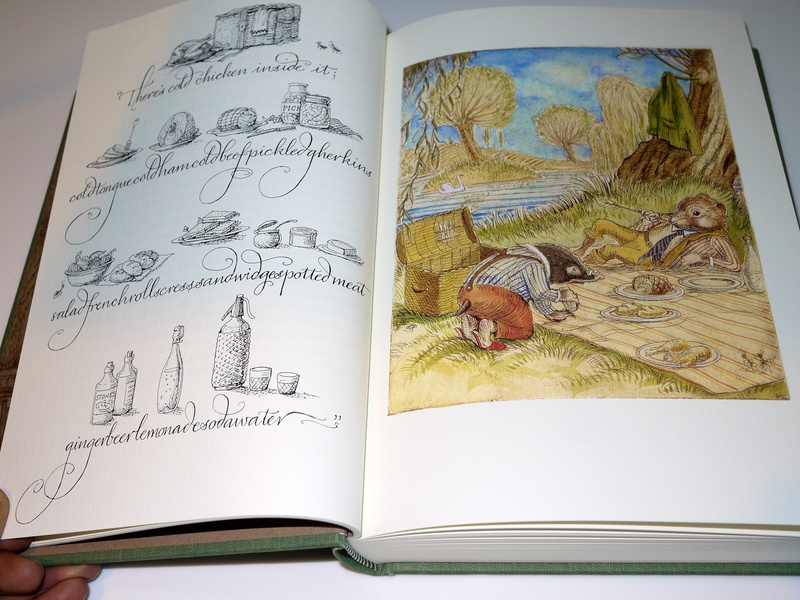 The Wind in the Willows by Kenneth Grahame (2005) (The Folio Society): sample illustration #3. 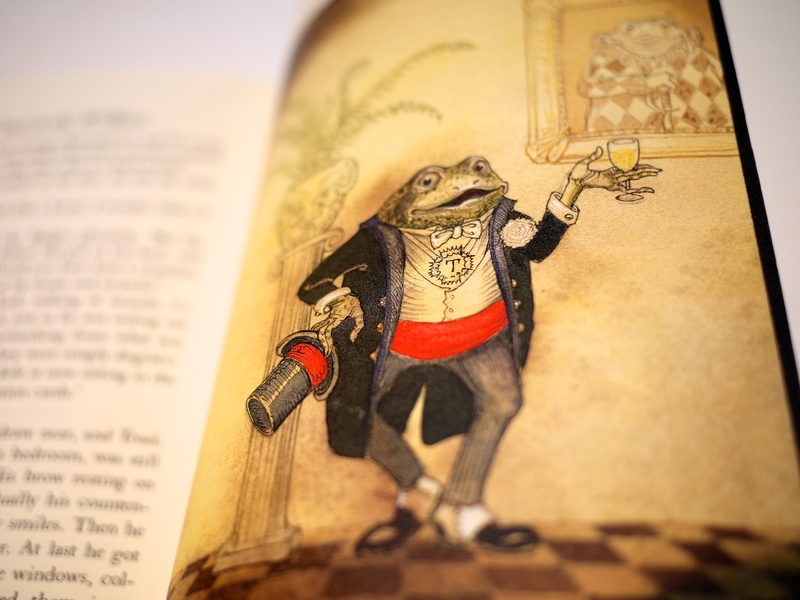 The Wind in the Willows by Kenneth Grahame (2005) (The Folio Society): sample illustration #4. 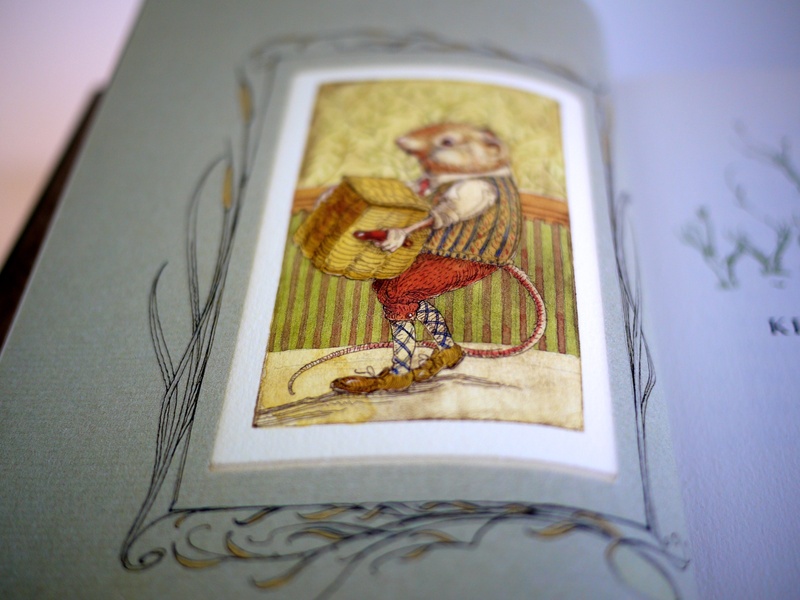 The Wind in the Willows by Kenneth Grahame (2005) (The Folio Society): sample illustration #5. 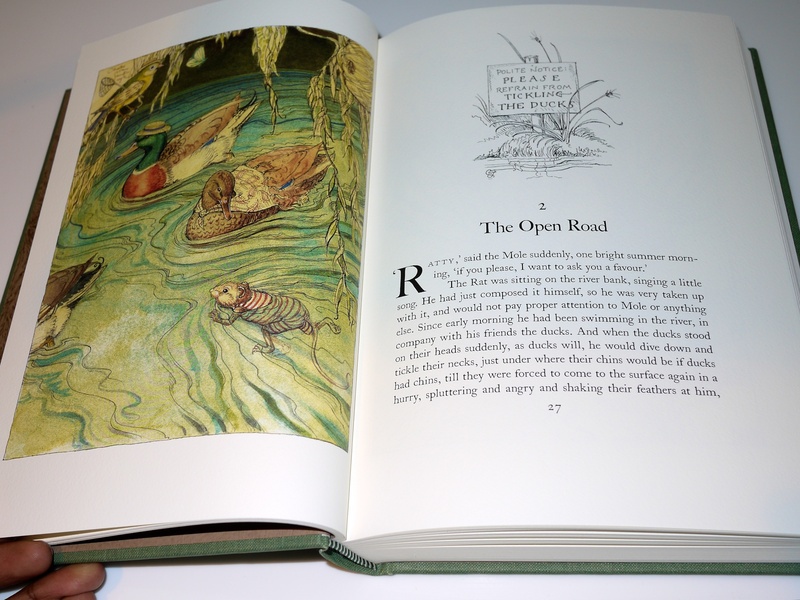 The Wind in the Willows by Kenneth Grahame (2005) (The Folio Society): sample illustration #6. 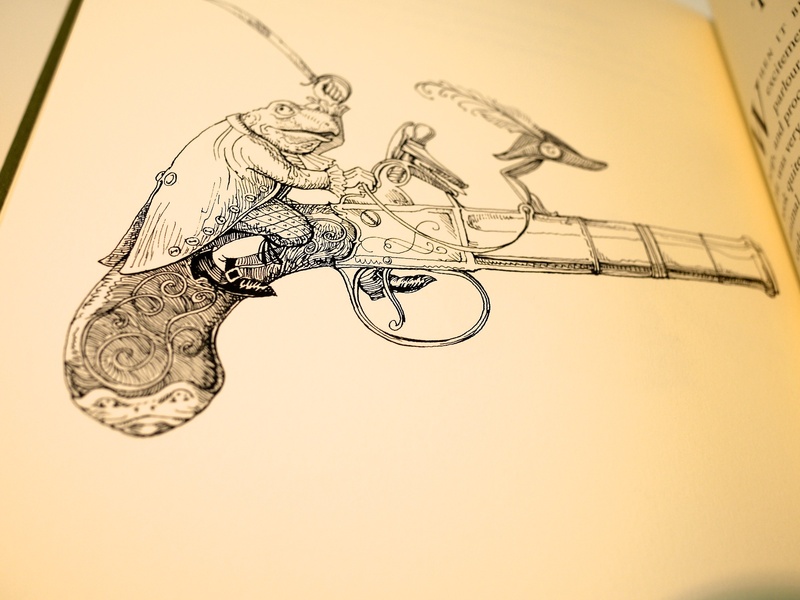 The Wind in the Willows by Kenneth Grahame (2005) (The Folio Society): sample illustration #7. 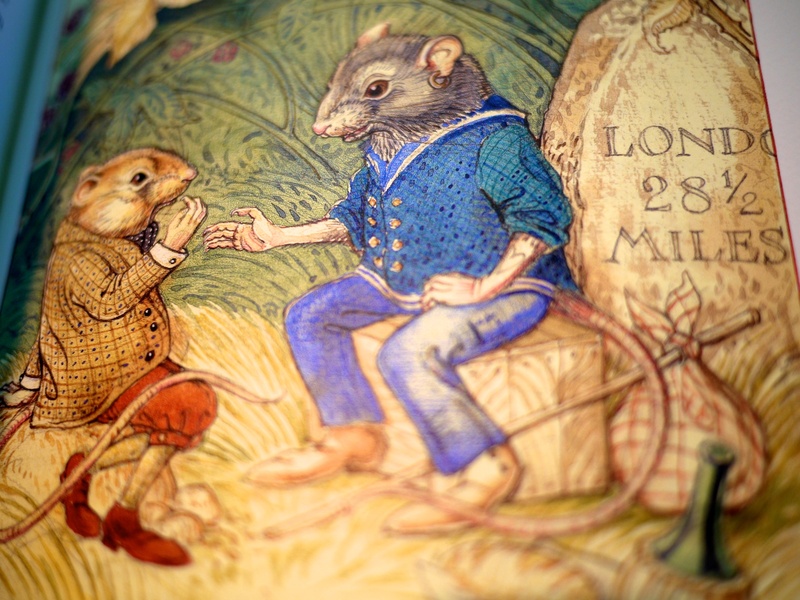 The Wind in the Willows by Kenneth Grahame (2005) (The Folio Society): sample illustration #8. 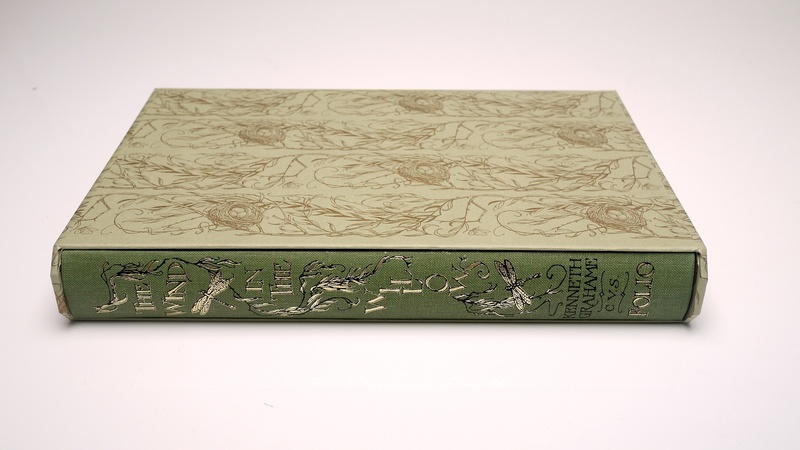 The Wind in the Willows by Kenneth Grahame (2005) (The Folio Society): Charles van Sandwyk’s distinctive type. 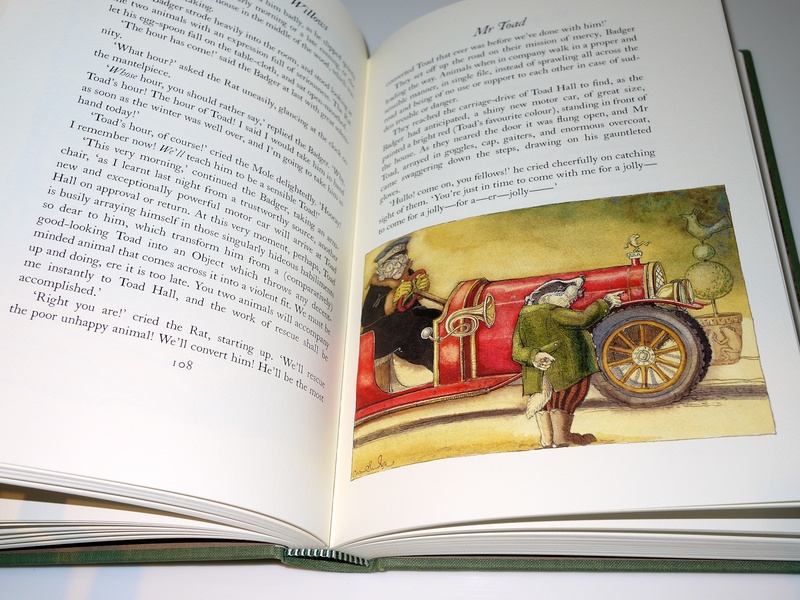 The Wind in the Willows by Kenneth Grahame (2005) (The Folio Society): sample illustration #9. 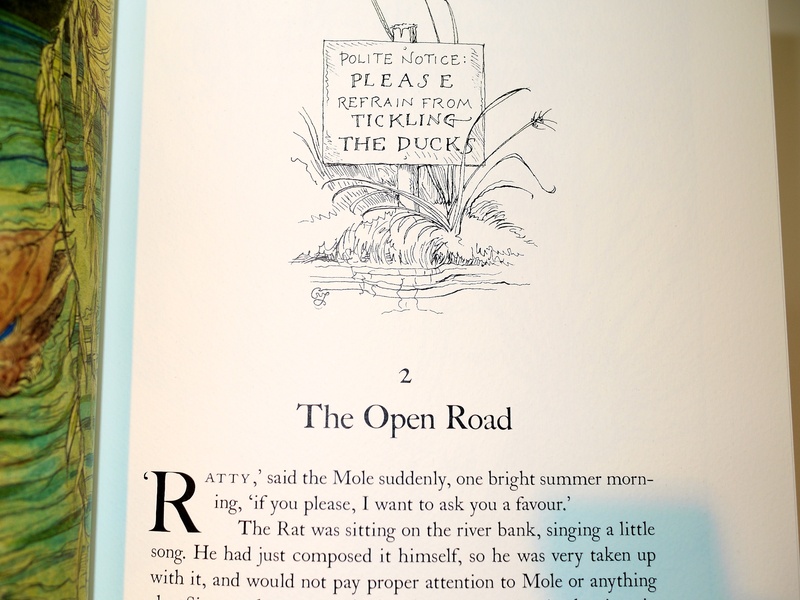 The Wind in the Willows by Kenneth Grahame (2005) (The Folio Society): sample illustration #10.